As we continue our commitment to the on-going development of Azimap Web GIS, we are delighted to share with you some of the details of the new feature enhancements which we believe will significantly improve your Azimap experience. 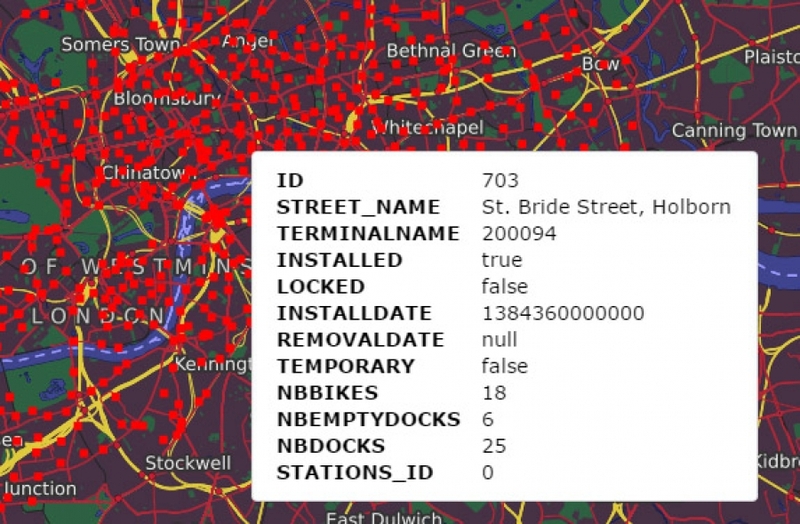 Once your map has thousands if not millions of attributes to interact with, it’s no longer acceptable to have users download all of the data and cache it in the browser as it’s way too big and very time consuming. In an attempt to ensure an optimum experience and to avoid unnecessary data loading times, we are delighted to announce the release of UTF Interactivity. The main benefit of the UTF Interactivity for our customers is that UTF can handle and display feature information in real-time without delay. To use the new UTF Interactivity, simply configure your feature information to appear on hover. Following requests from our existing and perspective customers, it became evident that our customers did not want to display the same feature information for both on click and hover actions. As such, administrators can now configure the feature information to display the data they want to show based on either an on-click or hover action. Thus providing greater control over the presentation of map information. We also delighted to announce that administrators can now configure the pop-up theme, choosing between light or dark and horizontal or vertical alignment. This enhancement enables map publishers to have greater flexibility and control over the presentation of the feature information. Finally, within the new pop-up tool-tip configuration, map publishers can now choose which properties in their data are searchable. This enhancement is beneficial for users who work in planning and need to quickly search by a planning reference number for example. To compliment the enhanced feature pop-ups, we have extended the search capabilities to enable users to refine their search parameters by focusing on key attributes such as starts with, contains or exact phrase match. Extending the search capabilities provides both administrator and users to quickly locate a feature from the data set. To try the new advanced layer search feature, select the search feature within your toolbar ( )and then select search columns. Upon completing this action, a side panel will appear which is where you can define the parameters of your search query starts, contains or exact. Keeping in mind that the results returns will only return result from the data from the fields that you have defined are searchable. So what happens when you have configured your map layers to only appear at a defined zoom to level? you manually have to zoom in and out of the defined layer in order to see the lay data. This is not an intuitive experience for the user as they by default in the layer appears to contain no data. To avoid the need to manually zoom to view a layers details, we have extended the layer feature option to quickly zoom to the layer location via a one click motion. This enables you to quickly visualise your spatial data and removing the need for multiple clicks. Please note that the zoom to layer feature at present does not support WMS searches, however we are currently in the process of extending this functionality and it will be deployed as part of the Winter roadmap release. The Report Information form enables administrators to maintain the accuracy of their data by crowd souring the authenticity of their data from their stakeholders. 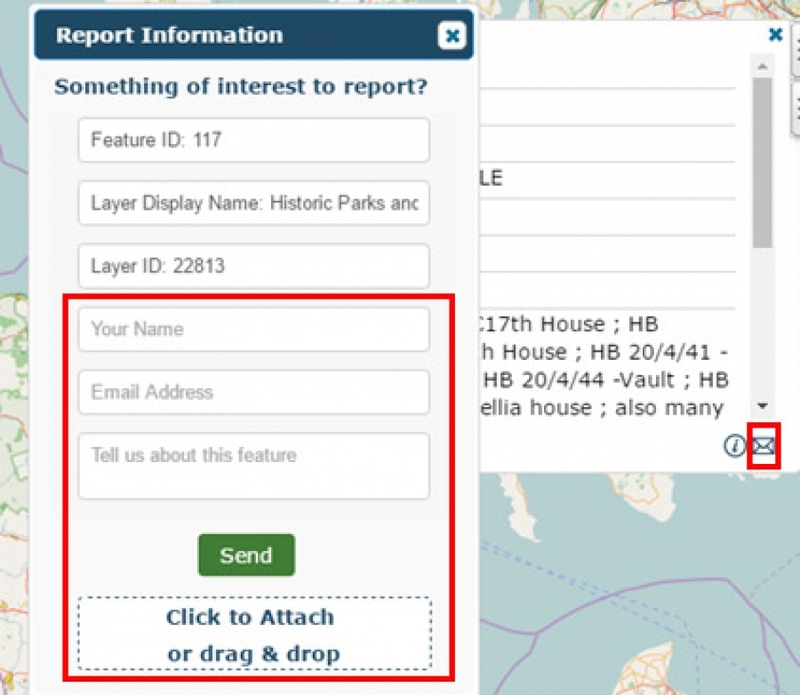 When a report is logged by a stakeholder, the map administrator will be alerted via email of the feature details, reported by details and the discrepancies in the data. The reporter, can also upload supplementary evidence in the form of a pdf, jpg, png, csv, xl or word file. Being able to manage and visualise spatial data across on mobile, tablet and desktop is extremely important to us which is why we are committed to the ongoing development of Azimap web GIS to ensure you have an optimum experience across all devices. To support this commitment, we have enhanced the mobile experience by including additional map details in the list view to enable administrators to quickly locate and edit their map from any location. We have also redesigned the map definition and information pop-ups to ensure you have an optimum experience when editing your map of a mobile or tablet. We are committed to the ongoing development of Azimap Web GIS and are currently in the process of the planning the Winter roadmap release, details of which will be announced within coming weeks. However, why not try the latest feature enhancements by the signing up to a free 30-day trial of Azimap Professional or requesting a personalised demonstration.